A vintage style leather cuff bracelet perfect for a rustic wedding, or an accessory for every day elegance. 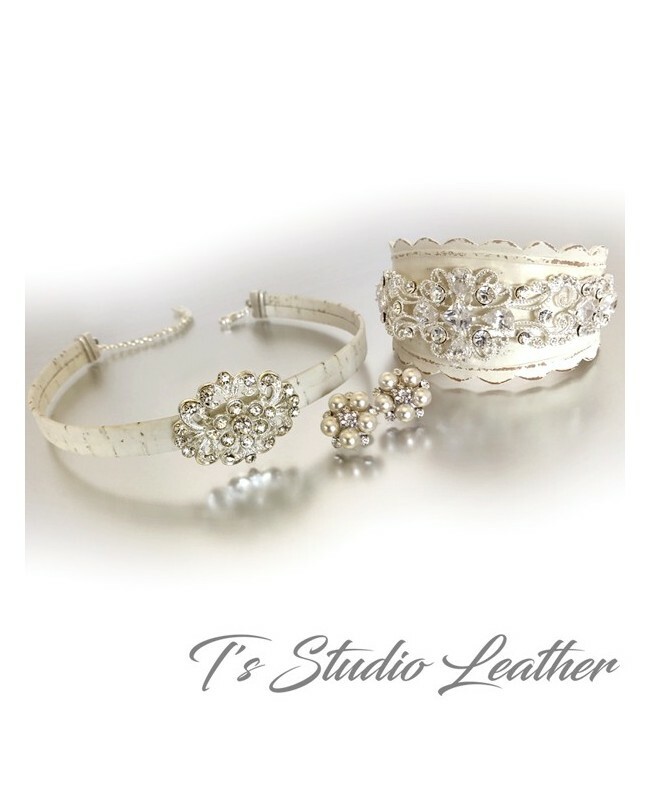 Made with genuine leather that has been stained with leather paint, then antiqued for a vintage look, and accented with sparkling cubic zirconia rhinestone crystals. Stud earrings are a mixture of pearls and rhinestones.